Ms. Mandel is a shareholder in the Boston office. She focuses her practice on employment litigation, and represents employers in a broad range of employment matters before state and federal courts and administrative agencies in both Massachusetts and Connecticut. 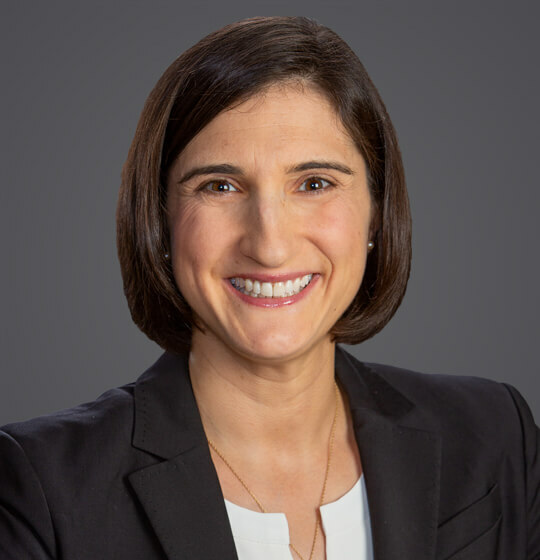 Ms. Mandel regularly practices before the Massachusetts Commission Against Discrimination (MCAD), the Connecticut Commission on Human Rights and Opportunities (CHRO), and the Equal Employment Opportunity Commission (EEOC). Ms. Mandel also counsels employers and provides guidance on employment-related issues, including compliance with Title VII, the Americans with Disabilities Act, the Age Discrimination in Employment Act, the Family and Medical Leave Act, Massachusetts and Connecticut employment laws, drug testing laws and best practices, and wage and hour compliance. Ms. Mandel drafts and reviews policies and handbooks for compliance with federal, Massachusetts, and Connecticut laws. Prior to attending law school, Ms. Mandel worked as an Intern Field Examiner for the National Labor Relations Board in Boston, as part of her undergraduate studies in Industrial and Labor Relations. Following law school, Ms. Mandel served as a clerk to the Honorable Justice Christine S. Vertefeuille on the Connecticut Supreme Court. Before joining Ogletree Deakins, Ms. Mandel practiced labor and employment law for four years in New Haven, Connecticut. October 2008 - Connecticut Lawyer Magazine - "When Desk Rage Strikes: Violence in the Workplace"
January 1, 2008 - ABA's The Affiliate - "Women in Law Leadership Academy"
June 2006 - Connecticut Labor and Employment Law Developments 2005-2006 - "Federal Employment Decisions"
December 29, 2017 - SHRM Online - "Do Employers Have to Show Workers Their Personnel Files"
October 19, 2015 - SHRM Online - "'Ban the Box' Legislation Clears Senate Committee Unanimously"
January 28, 2015 - www.shrm.org - "Inclement Weather Poses FLSA Challenges"
March 21, 2014 - HR Morning - "Workplace Soap Opera? Follow This Company's Lead"
Massachusetts voters legalized recreational marijuana through a ballot referendum in 2016. As of July 1, 2018, retail marijuana stores are now permitted to operate in the state. The law allows cities and towns to exercise local control to ban or limit marijuana dispensaries, which are now opening in various locations around the state. Massachusetts Governor Charlie Baker just signed into law the so-called “grand bargain” bill, which contains provisions that will have a significant effect on employers in the state. The law is a compromise designed to avoid potential ballot questions about an increase in the state minimum wage, paid leave, and a reduction in the state sales tax. As we get closer to the July 1, 2018 implementation date for the Massachusetts Equal Pay Act (MEPA), it is time to focus in earnest on practical workplace considerations for affected employers. Although the MEPA does not dictate what specific language employment policies must include, employers should align their internal policies and practices with the law’s detailed requirements. Employment policies that may require revision or amendment in order to comply with the provisions of MEPA cover not only compensation, but also hiring practices, interview procedures, commissions, merit-based bonuses, and confidentiality. We recently reported on the sweeping pay equity legislation that garnered much attention throughout the most recent legislative session in Massachusetts. After much anticipation, this week Governor Charlie Baker signed the Act to Establish Pay Equity, a significant law that will affect all employers with employees in the state. The final version of the law will go into effect on July 1, 2018, giving employers ample breathing room to analyze and assess their compliance and consider conducting pay equity self-evaluations as outlined in the law. Massachusetts voters approved a new sick leave law that went into effect on July 1, 2015. Many employers with preexisting leave policies, however, took advantage of the so-called “safe harbor” provision in the law and its implementing regulations that allowed those employers to delay full implementation until January 1, 2016, as long as they complied with certain general provisions of the law. This safe harbor expires on January 1, 2016—so employers that relied on the safe harbor rules must now put in place new policies to comply with the sick leave law.